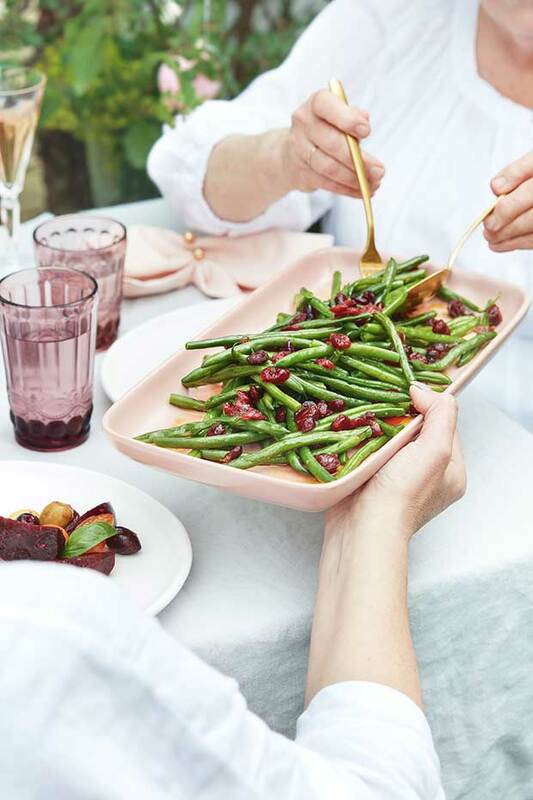 Green beans with a tangy cranberry twist, a delicious side from Ruth Pretty’s make-ahead Christmas lunch menu. Soak cranberries for 5—10 minutes in the orange juice. Drain the cranberries, reserving 2 tablespoons liquid. Whisk together the vinegar, mustard, salt and reserved cranberry juice. Slowly drizzle in the oil, whisking until it’s emulsified.